Vitányi, P.M.B. (2012). 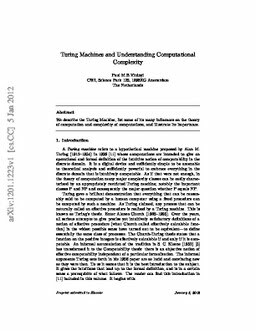 Turing machines and understanding computational complexity. CoRR abs.